Less than 1 hour from Geneva awaits you the most authentic mountain village in the Alps. Skiing in Megeve is 445 kilometers of pistes in an exceptional setting but not only: gastronomy, events, relaxation and shopping in the paradise of après ski nestled in the heart of the Pays du Mont Blanc. 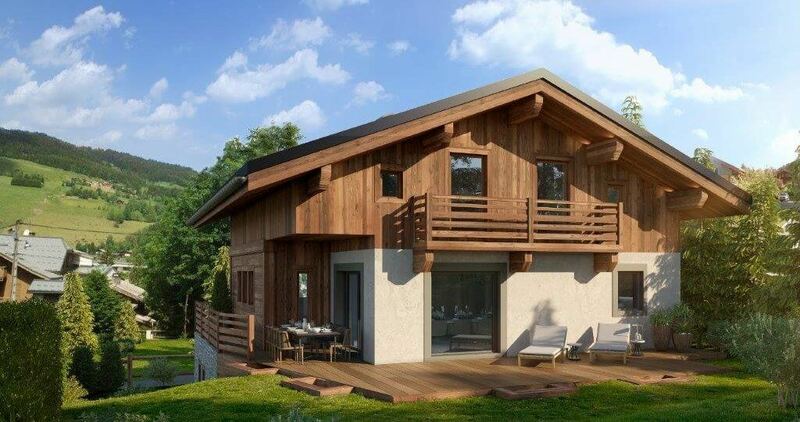 When you buy a ski property in Megève it also gives you access to 1 snow park, 188 pistes, 400kms of pistes and of course direct access to one of the biggest ski areas in Savoie: 3 ValleysEvasion Mont-Blanc. Come experience skiing in a unique area that combines trails, forest, alpine farms and sunny terraces on several mountains. A ski area suitable for families who will find in Megève soft and reassuring slopes to have fun with children. Lovers of wide open spaces will meet on the Cote 2000 massif, which benefits from quality snow thanks to its exhibition. Freestyle fans are not left out with a dedicated space that allows jumps safely on a giant air bag. As you can see in Megève, the ski paradise is only 180 kilometres from Lyon. Megève is at the heart of the Evasion Mont Blanc estate which offers 445 kilometers of slopes. A vast open field in the form of an amphitheater with, at each summit, a unique view of the Mont Blanc massif. Alpine pastures, fir forests, wide open spaces alternate for authentic skiing in an exceptional environment. In Megève, powder is not reserved for the elite of advanced skiers. Skiers like you and me, also have the right to taste the pleasure of the cool, without venturing on dangerous trails off-piste. Indeed, in Megève, after a snowfall, not all tracks are automatically groomed. Several tracks are left untouched, which gives all skiers, whatever their level, to enjoy the fresh snow, without risking off-piste. Freestylers at heart, go to Megève! Accessible to all, snowboarders or skiers, amateurs or professionals, the Waidzai Park offers a wide range of modules to discover without delay! Its goal: to introduce novices to the joys of freestyle thanks to modules that are easier than in a classic snowpark. Open all winter season, the Waidzai Park comes in ten attractive modules: whoops, pyramids, turns, hip, small jumps and boardercross. All in a space of 500 meters long, where neophytes can chain jumps at their own pace, and experienced freestylers improve. Lovers of Nordic skiing, join the Cote 2000, you will find your happiness: a beautiful reception chalet with room off-bag and mini-bar, excellent snow … On the lower part, beginners benefit from trays that offer good skiing conditions, on well groomed trails with a lot of width. Further, the tracks are a little more technical and draw very beautiful routes, in particular the loop of Javen. – The video Zone on the Waidzai Park Rochebrune in partnership with the ESF Megève: after passing a badge from the Park, 3 cameras follow the rider who has only to go to the site of lifts mechanics to recover the video for free. – BMW xDrive Security Experience: A life-size safety workshop on the Schuss red run at Mont d’Arbois. The idea is to reach a maximum speed in kilometre launched then analyze with a professional the risks and attitudes to adopt to control this speed. This workshop is free.